The Punisher faces justice for his crimes! Prosecution witness: Matt Murdock. Why did the Punisher murder a district attorney? 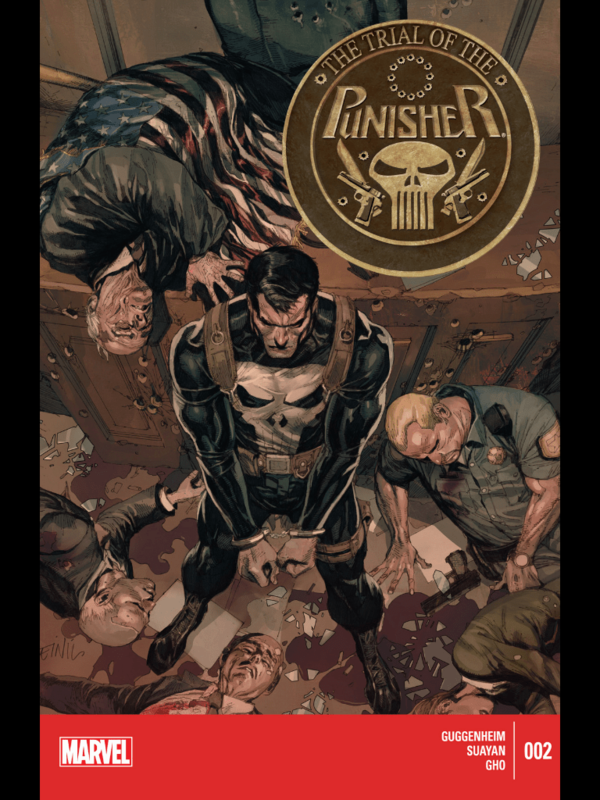 This nice two parter comes to a conclusion with the actual trial of the Punisher – and the sentencing! 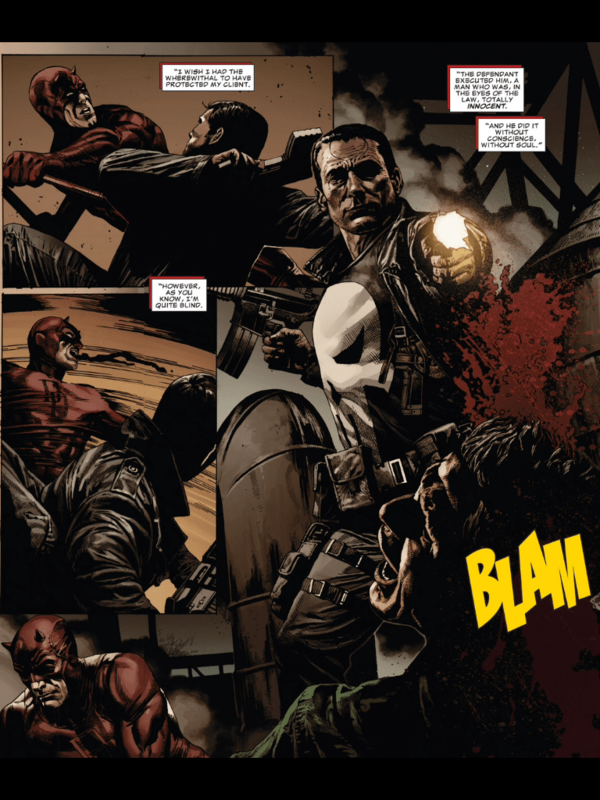 This is pure Punisher fun, with Frank being just one step ahead of the game with all of them. That includes a nice testimony from Matt Murdock AKA Daredevil, although his description of what happened once between the two of them can be taken one way, it can also be taken quite another. Gritty and violent, the art excels with some nice close and dirty fight scenes and tight scenes on Frank as the trial continues. We all know Punisher is crazy, but his method of planning and execution can be done so well. Garth Ennis got it in his MAX series, and the team here got it too!